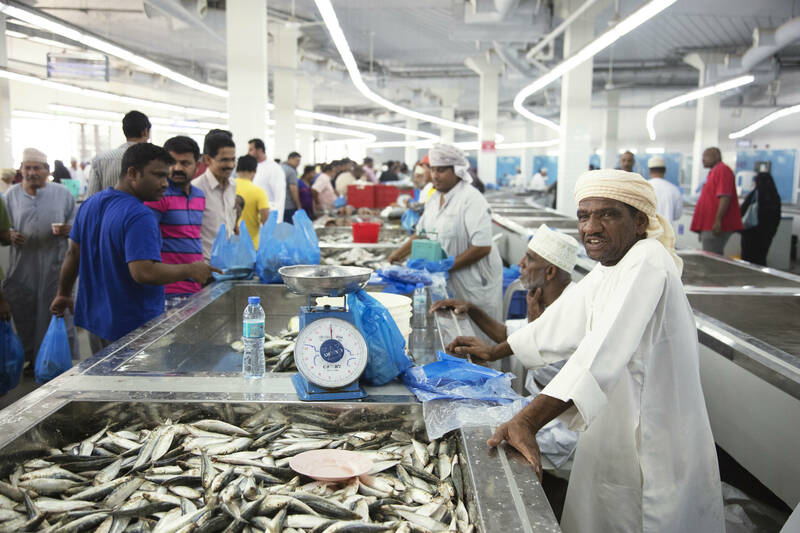 West of Muscat, on the coast of the Gulf of Oman, the new Snøhetta-designed Muttrah Fish Market serves as a centre point for the local community and a hub for Oman’s thriving fishing industry. 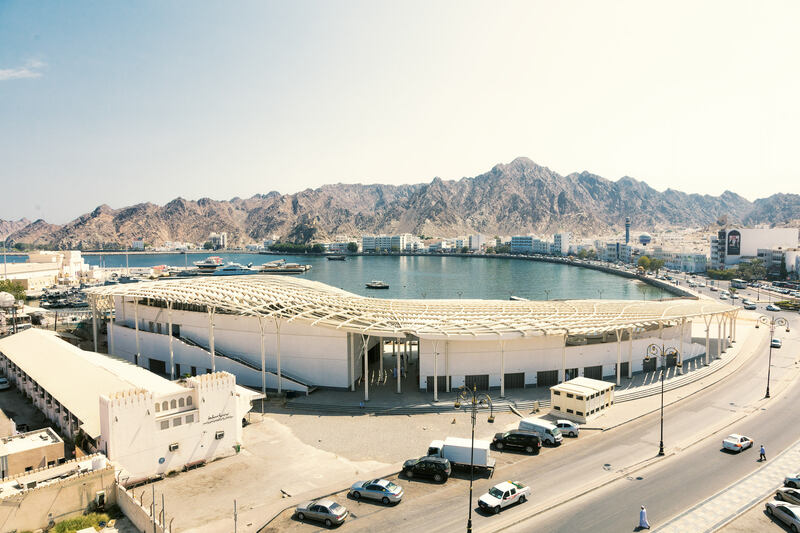 On Oman’s largest harbour and at the heart of Muttrah sits the new fish market, designed by renowned design practice, Snøhetta. 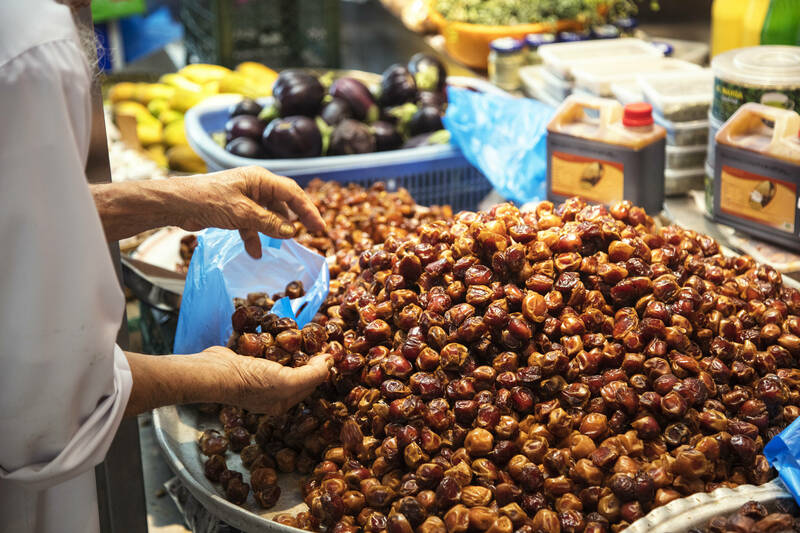 Known for its colourful history, characteristic port and fishing traditions, the city of Muttrah will now have a new fish market that signifies the continuity of the region’s traditions, whilst also fulfilling Oman’s needs to accommodate for growing tourism in the area. Built close to the city’s original fish market, the new Muttra fish market merges tradition with innovation; Snøhetta has designed the 4,000 square metre areas to sympathetically unite the old and the new. By creating a public meeting space, the large fish market offers local fishermen and tourists from around the world the chance to meet under the same roof. Snøhetta were inspired by the playful qualities of light and shadow to create a double radial wall as part of their design, which defines the spine of the new fish market. From a distance, the curved wall symbolises the shape of the cornice and wider bay, whilst also interacting with the street by exposing the stairs from the roof terraces. 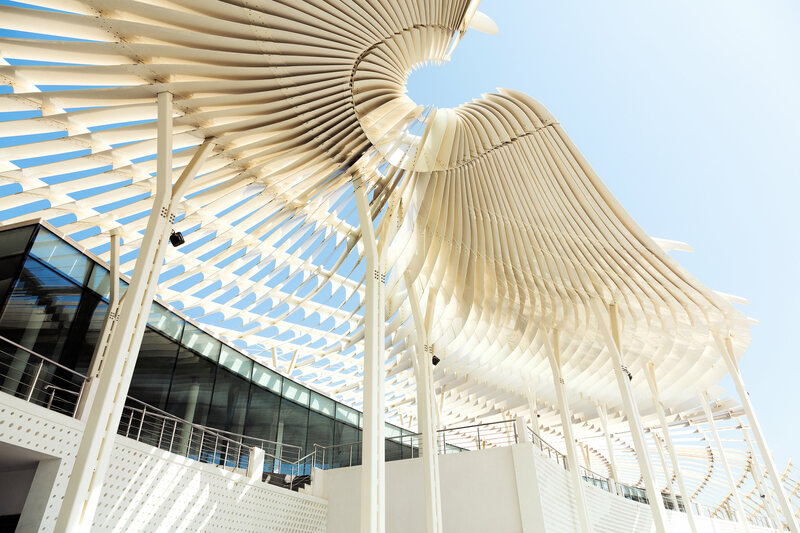 From street level, Snøhetta’s design enriches the area by forming a dynamically shaped canopy; the roof’s form has been inspired by the sinuous flow of Arabic calligraphy, in another nod to the traditions of the region. 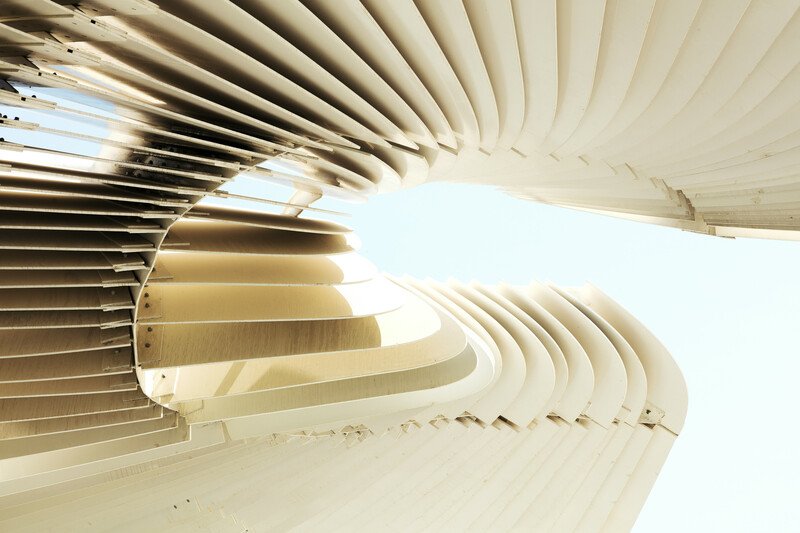 Light and shadow come into play again; the aluminium fins that make up the canopy provide shade while also allowing enough light into the space, as well as creating natural ventilation. The canopy roof’s complexity alongside the simple, solid concrete structure below makes for a stimulating contrast. Visitors to the fish market will be immersed in the lively surroundings which now can hold more than 100 fish sellers and cutters, as well as a new, separate market for vegetables and fruit. Considering the climate, the new facility also offers refrigeration, packaging and storage spaces for the vendors, and is also home to offices, coffee shops and a rooftop restaurant.